The Spanish-American War of 1898 was one of the shortest wars in which the United States has ever been involved. From declaration of war to termination of hostilities, the war lasted a little less than four months, although the chief fighting only occupied about ten weeks. Cuba’s independence was the war’s major catalyst, but the U.S.’s impetus for entering the fray was the mysterious sinking of the armored cruiser U.S.S. Maine in February 1898 and the subsequent deaths of 250 sailors on board. The Treaty of Paris that formally ended the war called for Spain to relinquish sovereignty over Cuba and to cede Puerto Rico, Guam and the Philippine Islands to the United States for $20 million. The defeat led to the loss of the last remnants of the Spanish Empire in the Americas and heightened the debate over expansionism in the United States. A little over 280,000 U.S. sailors, marines and soldiers served in the Spanish-American War with approximately 2,061 casualties, many of whom died from yellow fever. On record 6,065 Kentuckians participated in various campaigns in Cuba, Puerto Rico, and the Philippines, suffering 89 casualties. Material related to veterans of this war can be found below, including letters, military records, books, photographs, and pamphlets. 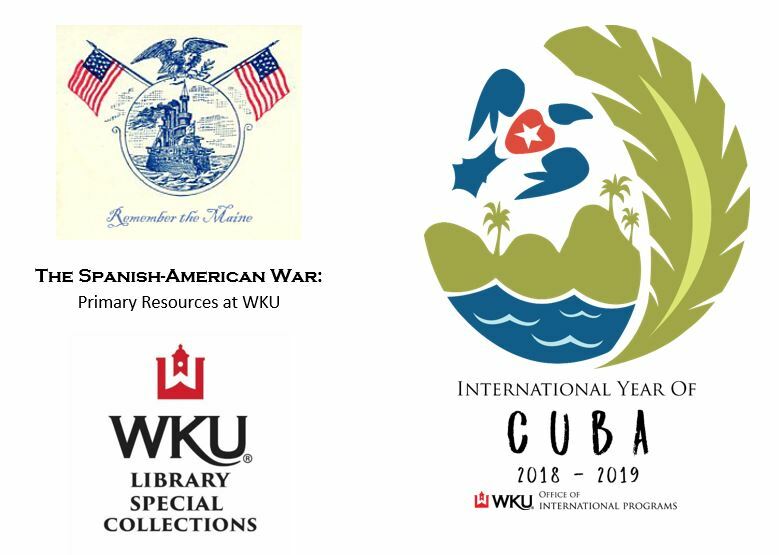 These materials are housed in the Department of Library Special Collections at WKU and have been made available in conjunction with the WKU International Year of Cuba and in observation of the 120th anniversary of the Spanish-American War.